Recently Hide and Seek had the pleasure of participating in the Wedding of Andy and Ashley Kate at "the Gorge," at Natural Bridge State Park. The setting in this region of Eastern Kentucky is quite breathtaking. What I loved about this couple was their attention to detail. 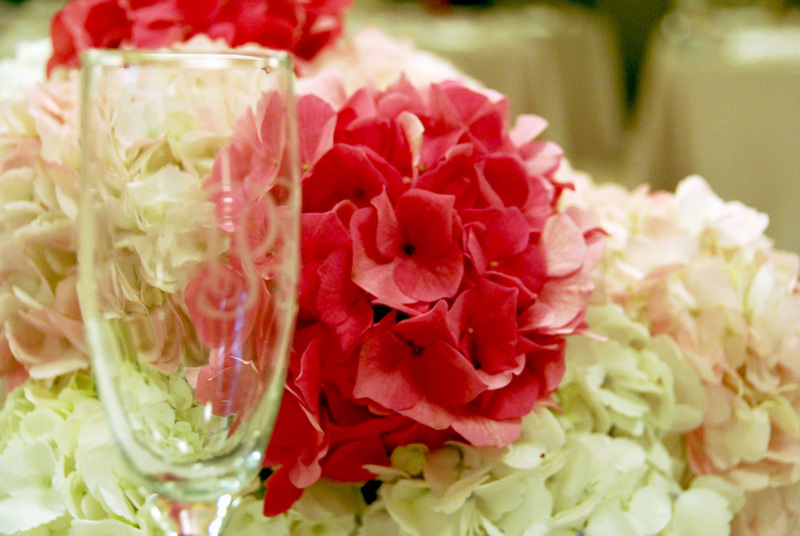 Ashley Kate and I met many times to discuss color palettes, textures and how to integrate the natural beauty of this environment into the Wedding theme. The ceremony took on a unique life of its own. 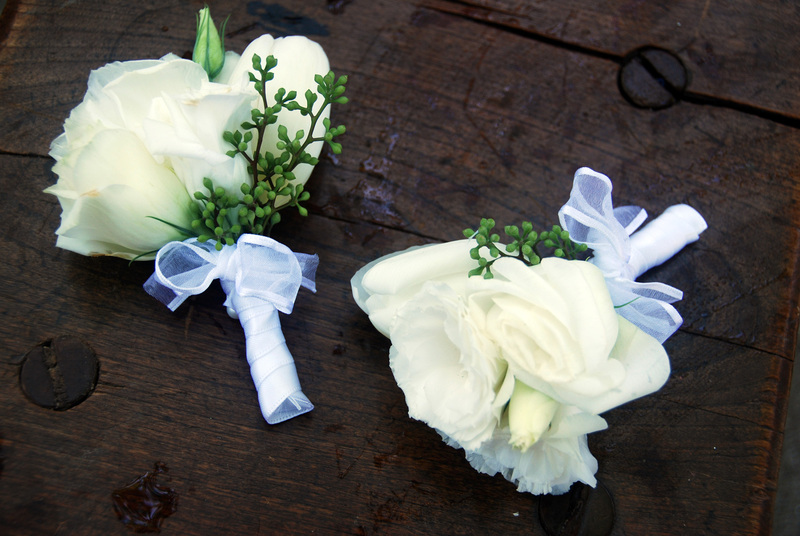 Unlike the traditional ceremony setting, there was no church or cliche aisle. Instead they choose an elevated boardwalk that was hidden within the thick canopy and backed with a trickling waterfall. 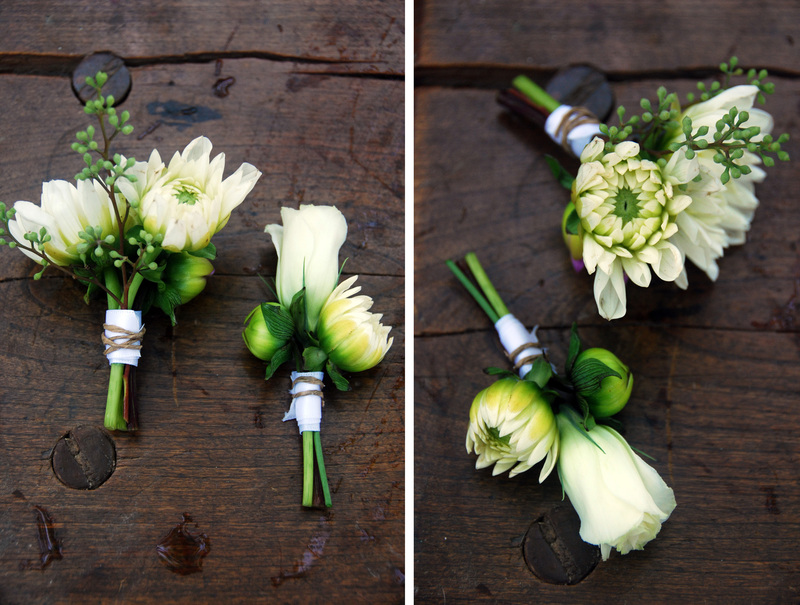 For flowers the girls all carried a different white fluffy flower ranging from garden roses to tulips. 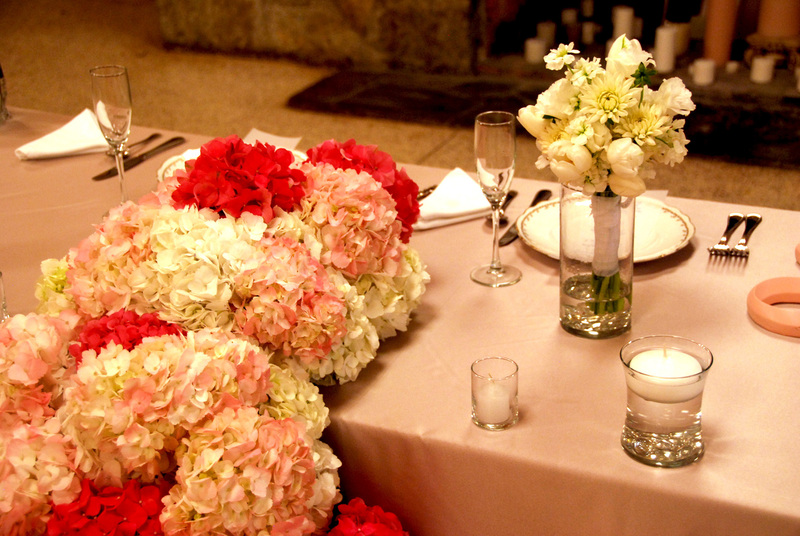 The boys had coordinating flowers to match the girl they partnered with. 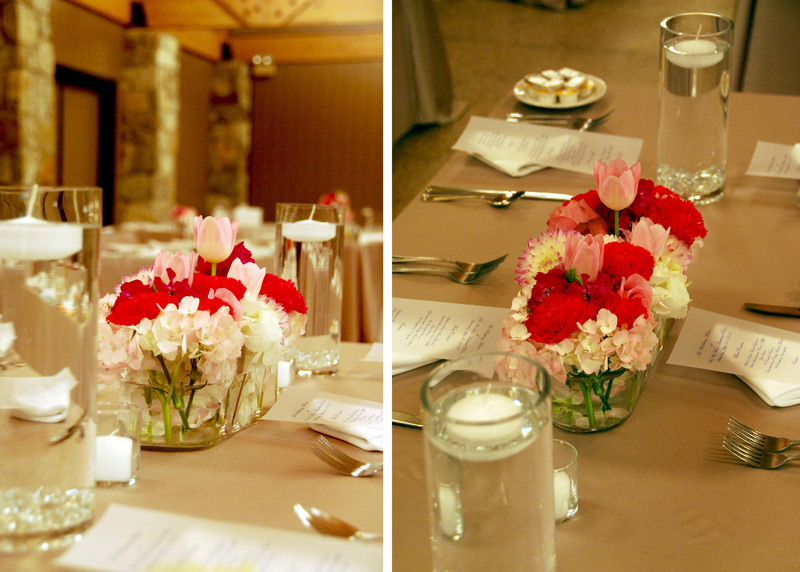 The reception hall, filled with rustic charm, was filled with explosions of pink flowers we designed and installed. 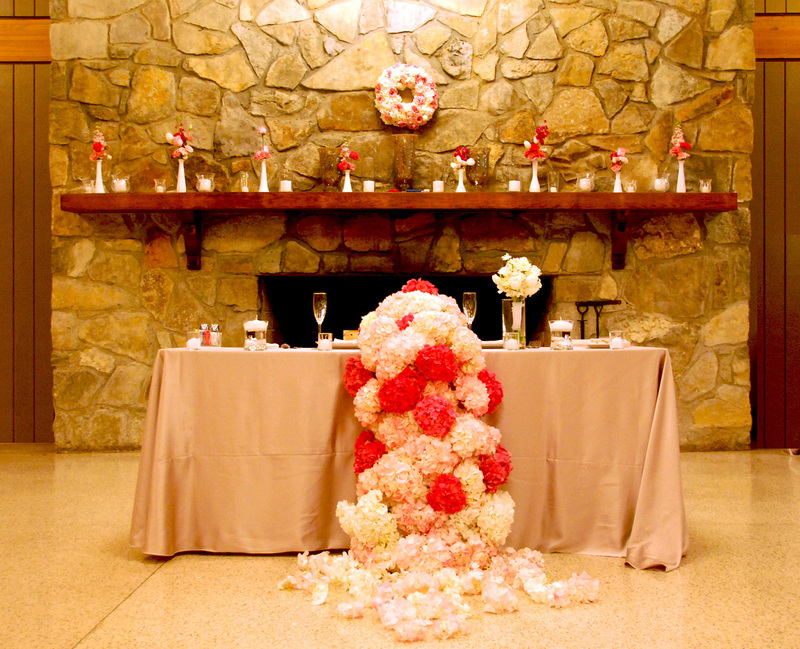 When you first entered the reception you were caught off guard by the huge fireplace and mantle that grounded the room. 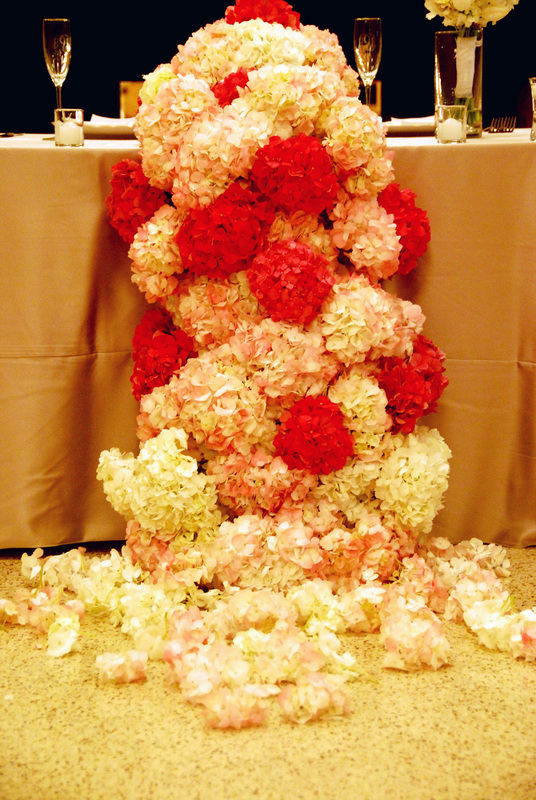 Hide and Seek designed a hydrangea drape that flowed over the head table located in front of the fireplace. The mantle was covered with milk glass bud vases and pink flowers, a wreath hung centered above and candles placed below. 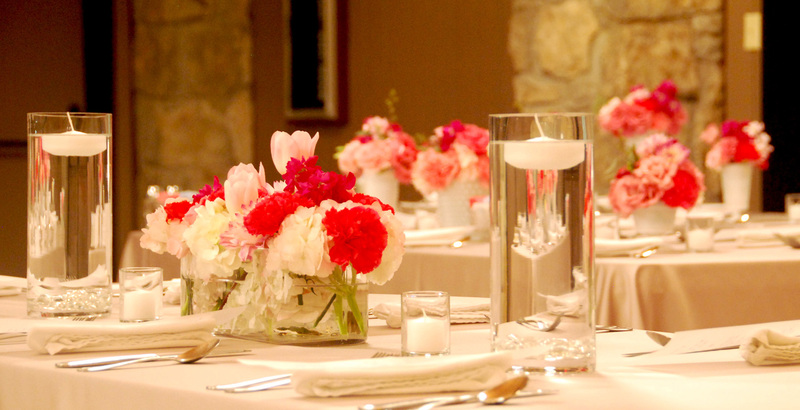 Milk glass vases, all different sizes, filled with a multitude of pink flowers, covered the tables and brought the room to life. 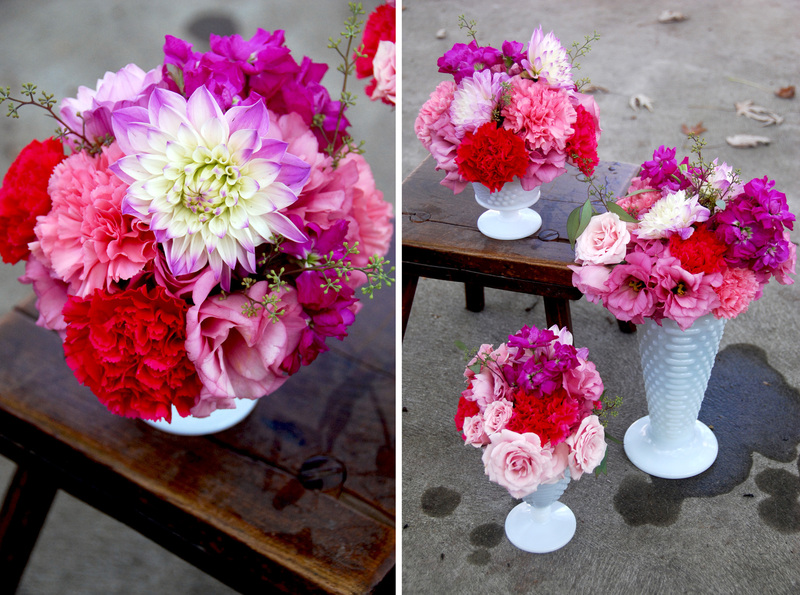 Hide and Seek loves these types of weddings, where the client lets our vision run wild and flowers become ART! Congrats again Andy and Ashley Kate.